Every year it gets hot. And every year when it's getting hot we make a video about a ski/snowboard scavenger hunt. Like the UPS man's brown shorts, what better way is there to inform you of the changing season than our annual FirstBank Capture the Cube video? Enjoy! Since it's been surface of the sun hot here lately, cool down by watching our latest adventure with FirstBank's Capture the Cube game. This is last season's recap of the mountain-wide scavenger hunt for brand new skis and snowboards from Never Summer Industries promoting FirstBank's new Anywhere Account. Find a cube. Win a board or skis. A simple game and great promotion. Can't wait for next winter! 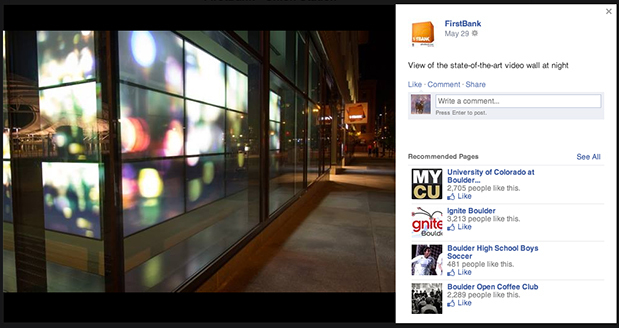 So cool to see images of the Video Wall we edited content for up at the new FirstBank Union Station Branch. Can't wait to check it out next time we're on the 16th St Mall. This past winter FirstBank held a mountain-wide snowboard hunt on Copper Mountain Resort called Capture the Cube. They partnered with our favorites, TDA Boulder & Never Summer Industries, to create 40 unique snowboards & 40 FirstBank cubes. The game was simple. Find a Cube. Win a board. Above is a recap video of the unique season-long promotion we had the pleasure of making. We recently had the privilege to sit down with senior citizens and ask them about what it means to "follow your dreams" for a new FirstBank small business campaign with TDA Boulder and our friend Jamie Kripke. You can learn a lot from old people. The only hard part is trying to get a word in. 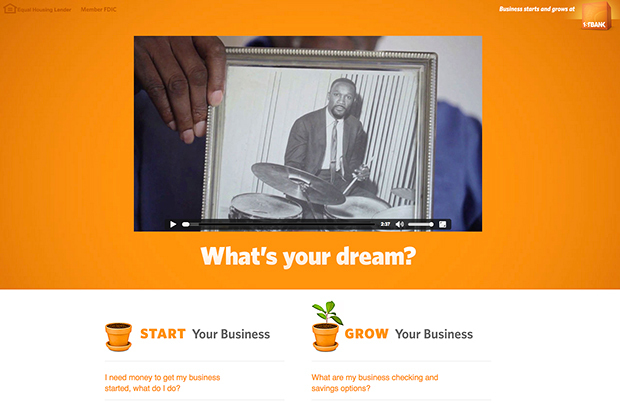 Check out the three video series here.